Why Picture Books Aren’t Just for Preschoolers! Don’t Let the Pigeon Drive the Bus by Mo Willems. I Love You Because You’re You by Liz Baker. Olivia by Ian Falconer. My kids postponed their bedtimes by begging me to read “just one more” of these titles. I spent countless hours cuddling with my young children – talking our way through wordless picture books and repeating the refrains of rhyming books. Eventually, my children began reading to themselves. Unfortunately, many parents stop reading to their children when this occurs, believing their job is done. In reality, it has only just begun. I was earning my degree in elementary education during the early 1990s when I first learned picture books aren’t just for preschoolers. As part of a course on children’s literature, my professor assigned Jim Trelease’s The Read-Aloud Handbook, which has been my go-to baby shower gift ever since. In addition to explaining the importance of reading aloud, it provides annotations for a “Treasury of Read-Alouds” – wordless books, picture books, long and short novels, poetry, and anthologies. Obviously, this list goes beyond the kinds of titles preschoolers might enjoy. Yet according to Scholastic, only 17 percent of parents read aloud to children ages nine to eleven. Why does it matter when kids can read to themselves by then? Read on. First, it takes a long time for decoding skills to match comprehension skills. If you’ve sat through the sounding out of words in an easy reader book, like Biscuit or Hop on Pop, you know the emerging reader has a limited reading vocabulary. Yet a child’s listening and speaking vocabularies are typically much more sophisticated. As children master their decoding skills, they move up through the reading ranks, much like a karate student earns new color belts. But if easy readers are the only type of book a child is experiencing, then he will likely get bored and lose interest in reading. One of the best ways to engage children during this transition is to take advantage of the wide array of picture books, which often feature challenging vocabulary as well as complicated storylines. 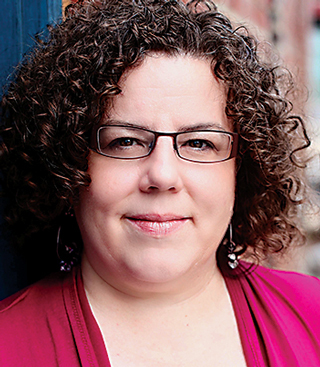 Author Lana Krumwiede is a mom of four who lives in Midlothian and wrote the Freakling science fiction trilogy for middle-grade readers, as well as a picture book. She says picture books provide a “nonthreatening starting point for discussion” with kids about more complicated themes. A perfect example is Baseball Saved Us by Ken Mochizuki. It tells the story of a Japanese American family sent to an internment camp after the bombing of Pearl Harbor. The picture book offers families an important opportunity to examine history while rooting for a young man desperate to earn the dignity he deserves. Even after a child graduates to chapter books, like The Magic Treehouse series, picture books offer children valuable learning experiences, which is why they are incorporated into curriculums long after kindergarten. They introduce students to new topics, different cultural perspectives, and complex literary devices. This is why resources, such as The Power of Picture Books: Using Content Area Literature in Middle School by Mary Jo Fresch and Peggy Harkins, as well as Riveting Read- Alouds for Middle School by Janet Allen and Patrick Daley, are a staple for many teachers. According to an article in the School Library Journal, advanced placement (AP) English language teachers, like Paul Hankins from Indiana, pair picture books with grade-level texts as an entryway into the topic. For example, to set up a class discussion on the importance of one’s name in relation to Arthur Miller’s classic, The Crucible, Hankins reads aloud The Name Jar by Yansook Choi. Reading aloud to an older child also provides a chance to expose children to genres they might not read themselves. For example, my 11-year-old daughter loves fantasy. My 14-year-old daughter prefers realistic fiction. I lean toward historical fiction. At my younger daughter’s request, we’re currently reading the Newbury Award winner from 1943, Fog Magic by Julia L. Sauer. But by no means, do we always read classics published decades ago. I could appreciate her plight, as I experienced a similar situation when I read the first book in the series to my daughters. In comparison, we all enjoyed The Evolution of Calpurnia Tate by Jacqueline Kelly, which won the Newbury Award in 2009. While also rich with natural observations, like the time Laura sees a cricket, Calpurnia’s adventures discovering a new plant species kept us engaged. Ultimately, that’s what reading is all about – fun. The more you can associate it with positive memories, the more likely your child will be to continue the practice. Melissa McKenney, a Henrico mom of three daughters and three stepsons, says she and her children often alternate reading pages. “I let them choose distinctive voices for each of the characters,” which makes reading aloud more interesting. Author Lana Krumwiede read aloud to her four children as they were growing up. 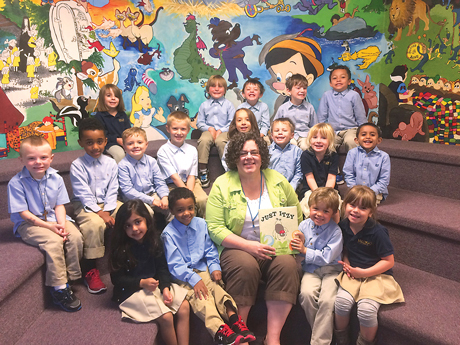 These days, she continues sharing literacy joy, reading aloud to RVA kids at schools and libraries, and during meet-the-author events at local booksellers. While parents of young children will often complain about them latching on to a favorite book, it’s important that parents are patient because, as Lana explains, there’s something in that story the child identifies with. She suggests, if the child can’t read it yet, parents have the child tell it as best he can to re-create the book. At the end of the day, what matters most is the shared experience. 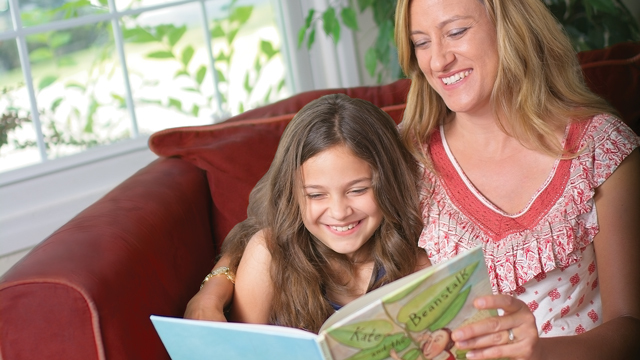 The ritual of reading aloud also offers families a chance to bond. My younger daughter is crestfallen if our day gets too busy to squeeze in a read-aloud before bed. That’s why I try to guard this practice much in the same way I protect family dinners. My consistency sends the message that not only literacy, but also our special time together, is important. Still, life gets busy and sometimes skipping is unavoidable. Melissa says, “We are lenient with ourselves when the routine falls apart, and pick right back up where we started if things get off track – which they sometimes do for a few days or even a couple of weeks.” Teaching kids how to stick with healthy habits, like reading, is such an important lesson in this hectic world. And sometimes it’s a necessary one when the read-aloud is an ambitious selection. When Lana’s son was in fifth grade, they read The Hobbit by J.R.R. Tolkien, taking turns reading aloud until they finished it. Her son went on to read the rest of the series, and now as a 24-year-old who reads widely and regularly, he credits this experience and the magical world it offered for his lasting love of literature. People are often surprised to hear I’m still reading to my children, but for me, it’s no different than sitting down as a family to watch the latest episode of The Toy Box. It’s something fun we do together and my children enjoy it. My kids are not unique. According to Scholastic, 72 percent of kids, ages six to eleven, love being read aloud to because it is a special time with a parent. I recently read the memoir The Reading Promise: My Father and the Books We Shared by Alice Ozma. It’s a heartwarming story about a girl who decides in the fourth grade to read aloud for one hundred consecutive nights with her single father. When they reached their goal, they decided to extend the streak for 1,000 nights, sometimes reading aloud over the phone when the two were separated. While the challenge might sound extreme, Alice’s words regarding whether it grew boring resonated with me: The only thing that has to be similar from night to night is the act of turning pages. Everything else changed as soon as we picked up a new book, plunging us deep into a new landscape with unfamiliar faces. Alice and her father set the goal of ten minutes per night, and I find this manageable, too. Any longer than that and my daughters don’t have enough time to enjoy the books they’re reading themselves before lights out. And remember, picture books are a perfect choice if a long-term commitment overwhelms you. Melissa’s youngest daughter is seven and reading chapter books, but still insists on being read to every night, so the pair might revisit an old favorite when they are short on time before bed. Don’t know what book to read? The Read-Aloud Handbook (featured in Pages for All Ages on page 42) is great for just this reason. In its seventh edition, it gives numerous examples of books that make for great read-alouds at every level. Parents can also seek help from librarians as well as Goodreads, one of my favorite online reading resources. A lot has changed in the twenty-four years since I started teaching, but when it comes to reading aloud together, the intellectual, emotional, and social benefits for kids and parents remain the same. As long as parents remember, it’s not the books they select or number of pages they read, but the shared experience that matters most, then children everywhere will get their happy ending. Previous articleLiving History in Church Hill!